I just spoke with the surgeon. The pathology report showed that the cancer was confined to the prostate and had not spread. The lymph nodes were clean, too. I have to go back in 4 weeks for a follow-up and my first post-surgery PSA test. 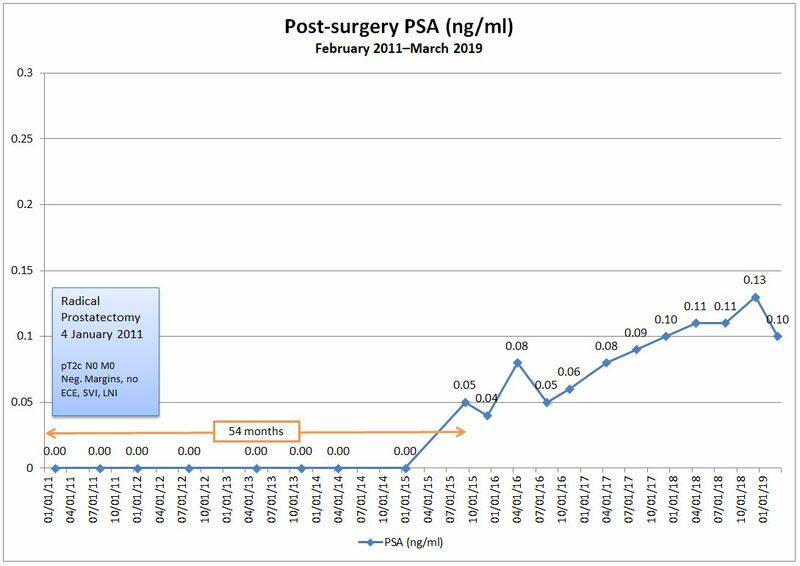 If the PSA reading is zero, that’s more confirmation that the cancer did not spread. However, if it’s still elevated, there may be cancer still in the body someplace that the pathology didn’t see. So a little more waiting, but today’s report was a huge step in the right direction. Dan…Please correct my sentence before you post my last comment. It should read , “We have a beautiful… I noticed my mistake just as I pushed the key. 🙂 Thanks! They did take the lumph nodes?